If it has always been a dream to have a healthy and confident smile, then why not make that dream come true? Here are the reasons to make the journey to Kreativ Dental Clinic in Budapest, Hungary this year. It’s unlikely that many of us will fly abroad for regular everyday dental check-ups or cleaning. However, if extensive and expensive work needs to be carried out, the often very significant cost savings of having dental treatment abroad can be a deciding factor. Every year, thousands of dental tourism patients fly to Hungary from English-speaking countries, including Ireland. One of the main reasons for this is the savings they can make. At Kreativ Dental Clinic in Budapest, patients can make savings of up to approximately 60pc in comparison to Western European prices. Before patients begin treatment at Kreativ Dental Clinic, they will get a free consultation and a full breakdown of the treatment cost is provided. Many patients visit Kreativ Dental Clinic for restorative dental care, such as dental implants. Naturally, visitors who have made the journey overseas want to feel confident they are in good hands. Kreativ Dental Clinic has been providing quality dental care for over 15 years. Last year, the clinic was awarded the ‘International Dental Clinic of the Year 2018’ by the medical travel publication The International Medical Travel Journal. Attila Knott, owner and managing director of Kreativ Dental Clinic, developed the company from a small two-chair dental surgery to a world-class facility of 14 dentists, an on-site laboratory and approximately 600 international patient visits per month. A second clinic called Kreativ Dental 2 opened its doors in 2015. Located beside the first clinic, it was built to help manage the high demand from patients worldwide. Now, Kreativ Dental are in the process of building a dental hospital, where people who have had complex procedures and require general anaesthetic can be monitored and take some time to recuperate. This is unique service is set to open at the end of this year. Most people feel anxious about a visit to the dental surgery. 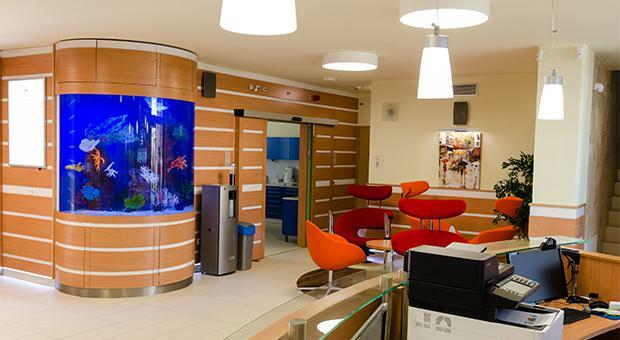 Kreativ Dental Clinic aims to make their patients feel as relaxed and at home as possible. The main waiting rooms have aquariums, as studies have found that aquarium-watching helps to reduce stress and anxiety and increase feelings of relaxation. Each of the chairs have iPads installed to keep visitors entertained. There is also a Sky Café and terrace where patients can sit out in the fresh air with a hot drink. 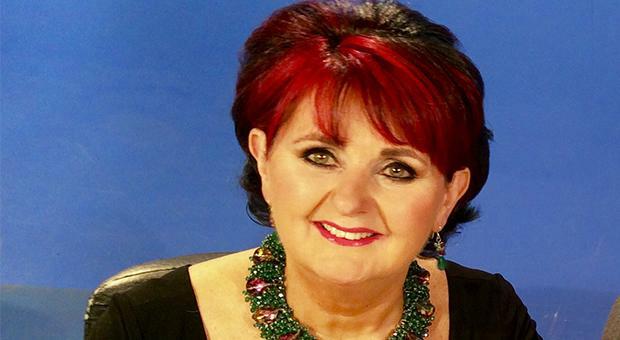 Kreativ Dental Clinic has welcomed some famous Irish faces including world snooker champion Ken Doherty and Tina Koumarianos, Agony Aunt on Virgin Media One’s Elaine Show. Since her successful dental treatment about 10 years ago, Tina now makes yearly trips back to Kreativ Dental Clinic for her annual check-up and professional hygienic treatment. Patients can easily combine their treatment at Kreativ Dental Clinic with a holiday in a European city rich in history and culture. Budapest also has a thriving nightlife, whether visitors want a social drink or something livelier. Visiting the quirky ‘ruin bars’ is a must – these are beer gardens and clubs that occupy former residential courtyards and are often filled with an eclectic mix of upcycled furniture. Picnics can be had alongside the Danube, or enjoy food by the scenic Kossuth Lajos square, where the Hungarian Parliament Building is located. The outdoor thermal baths make Budapest the perfect destination for the summer months.